I sure hope that you like these kittens. 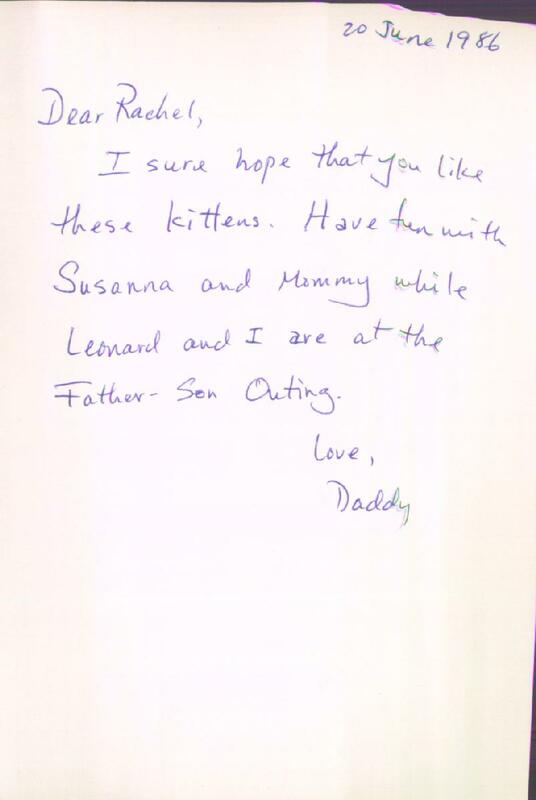 Have fun with Susanna and Mommy while Leonard and I are at the Father-Son Outing. 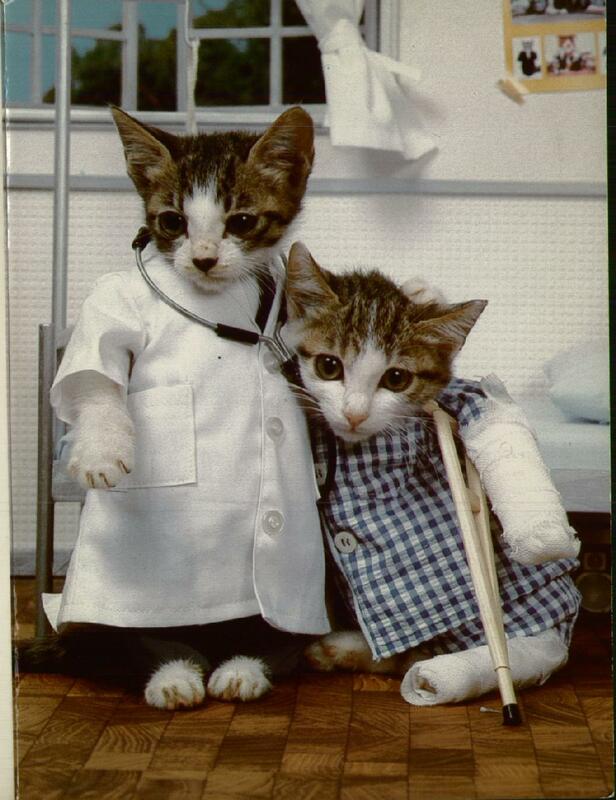 That cat looks as miserable as if it really did have a broken foot.